Welcome to Digital Digest, your weekly place to be for all things digital! We've got all of your regular news this week, along with all of our other usual features. This week, we have a double feature for our reviews, with our reviews of Simon & Simon - Season Six and Mission: Impossible - The '89 TV Season. Time to start our mission! You can read more about this event by visiting the PaleyFest website. Mill Creek is back in action again with more releases (well, technically re-releases) from the the Carsey-Werner library, announcing the third and fourth seasons of a few favorites for a release date of April 3. On that date, look for 3rd Rock from the Sun - The Complete Season Three, 3rd Rock from the Sun - The Complete Season Four, Roseanne - The Complete Third Season, Roseanne - The Complete Fourth Season, That '70s Show - Season Three, and That '70s Show - Season Four. The releases for That '70s Show and Roseanne will come at a $14.98 MSRP, while 3rd Rock for the Sun has a $9.98 MSRP (expect to find much lower prices than these, though, as Mill Creek sets often have a low MSRP and are priced even lower at retailers). Of these series that have been announced, though, there is one missing from the mix that was actually released with the Carsey-Werner series last time around: Grounded for Life. There is no need to worry, though, as additional seasons of that series will likely come at a later date. TVShowsOnDVD.com brought news this week of an upcoming release from Shout! Factory which will collect love themed episodes of TV series, with Love is on the Air. The May 1 release (yes, we're confused too about why they didn't do this in time for Valentine's Day) will include episodes of Leave it to Beaver, That Girl, Dennis the Menace, Father Knows Best, Ozzie & Harriet, The Patty Duke Show, and Hazel, all centered around a theme of "love." The single disc release comes at a low $12.99 MSRP. Tuesday (February 28) brings a few new releases to DVD, with MPI's release of Here's Lucy - Season Five. Shout! Factory finishes up a series that fans have been wanting to see finished for years with Here Come the Brides - The Complete Second Season. You can read our review of this set here. Finally, CBS Home Entertainment is finishing up the '80s reboot of Mission: Impossible with Mission: Impossible - The '89 TV Season, which we have a review today in Digital Digest. The Simon brothers, Rick Simon (Gerald McRaney) and A.J. Simon (Jameson Parker) are back again on DVD to investigate 22 more cases in Simon & Simon - Season Six. The series, which aired from 1981-1989 on CBS, follows the two Simon brothers, both of whom have lead completely different lives (up until now, anyway) working together as private detectives, often investigating some of the most serious and heinous crimes. But there are always twists and turns along the way in each and every investigation, and the cases aren't always easy to crack. But with the Simon brothers, they always manage to find a way to do it, somehow. The sixth season begins with "Competition - Who Needs It?," where there is a new detective agency in town that is determined to run the Simons out of business. A young sailor is framed for drug possession in "A.W.O.L." In "Still Phil After All These Years," Cecilia's high school reunion suddenly turns into another murder investigation for the Simons. Nancy Kulp guest stars. Downtown Brown is a temporary houseguest with the Simons after an injury in "The Cop Who Came to Dinner," but there is a little something that he forgot to tell them about his life being in danger. Lyle Waggoner Deborah Walley guest star in "The Last Big Break," where a surfer who was thought to have died 20 years ago mysteriously shows up--and is a target for murder. The Simon brothers fight to protect a reporter's son (played by the one and only Gary Coleman) in "Like Father, Like Son." Rick and A.J. become rivals in "The Case of Don Diablo," at least until what initially seems like a fun investigation may turn into a life-threatening situation. An investigation leads to the Simons marrying two Greek stewardesses in "Mrs. Simon & Mrs. Simon." In "Tonsilitis," Rick swears that he saw a murder while under anesthesia while getting his tonsils removed, but who is going to believe him? Alan Hale, Jr. guest stars in "For Old Crime's Sake," where a 50 year old bank robbery could have consequences well into the '80s. The brothers join two rival female detectives for an investigation (against Rick's better judgement) in "Opposites Attack." Downtown Brown plans to propose to reporter Temple Hill (Tim Reid's real-life wife Daphne Maxwell-Reid) in "Judgment Call," but a disagreement could thwart that. A famous TV detective disappears in "Tanner, P.I. for Hire." In "Second-Story Simons," the brothers latest investigation lands them in the middle of an FBI investigation themselves. A man who saved Rick's life in Vietnam is found murdered in "I Thought the War Was Over." Janet Fowler (Jeannie Wilson) returns in "Lost Lady," but can't quit remember anything that has happened in the past four years. The season ends with "Walking Point," where Rick and A.J. find themselves investigating a sleazy lawyer running a center for the disabled. Vanna White makes a cameo appearance in the episode. Like the previous release, the set is packaged in a standard Viva case. On the cover, there is a photo of the Simon brothers, along with the title of the set, all with a blue background. On the back, there is a brief description of the season (complete with a very glaring error indicating that the series aired on NBC, when in fact it aired on CBS), along with a few photos from the season. Inside the case, you'll find the six discs, all of which just have the series logo on a blue background. The first four discs contain four episodes each, while the last two contain three episodes each. The menus on the set are very basic, but at least the theme song from the current season plays this time, as opposed to the theme song from the first season. 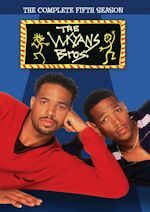 On the main menu, there is a still photo of the brothers (same one seen on the cover), and the theme song plays in the background. From the main menu, you have options of Play All, and a list of episodes. Once you select an episode, it plays immediately. There are chapters throughout each episode. The video and audio quality of the episodes is a bit lackluster for the late '80s (I've seen better), but it seems to be about on par with the previous releases of this series, and other dramas from Universal from the same era. It is just interesting how the series looks much older than it actually is, almost like an episode of Starsky & Hutch from a decade earlier. Unfortunately, the episodes are not closed-captioned or subtitled. Sadly, there are no special features on the set. Of course, we've come to expect and accept that with these Shout! Select titles; after all, it is great that we are even seeing these titles on DVD in the first place. All in all, this isn't a bad set of episodes, although special features would have been nice. It is great to see that Shout! 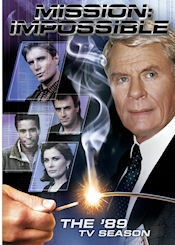 Factory is continuing the series on DVD this far in to the series, particularly after it was abandoned by Universal after just one season. One thing that I would like to see on one of the future releases is the original pilot film for the series, which has still yet to see the light of day on DVD. With this set, though, the series comes closer to completion with only two seasons, containing a total of 29 combined episodes, left to release. If nothing else, it would be great if Shout! could combine the final two seasons into one release to finish this off. One thing that I never understood about this series is why it hasn't seemed to have the same kind of popularity as other similar series from the same era, particularly Magnum, P.I. The series is really the same style of series, and in my opinion, better than the classic Tom Selleck series. But if you are a fan of that series, you'll probably love the Simon brothers, too. Who said that short-lived series aren't memorable? The '80s reboot of the classic series Mission: Impossible is not only back on DVD, but the entire series is completed with CBS Home Entertainment's release of Mission: Impossible - The '89 TV Season, a four disc set containing all sixteen episodes of the final season of one of television's few series that actually managed to come back with new episodes that were actually great to watch. The series is much like the original, and even brings back Peter Graves in the starring role as Jim Phelps, as he organizes a new team to do everything that the old team used to do. The season begins with the two-part episode "The Golden Serpent," where the latest investigation exposes a good friend of Jim's, Barney Collier (Greg Morris), and leads to a fight to save him while cracking the case at hand. The team is trying to protect a princess from high-priced assassins in "The Princess." In "Command Performance," an investigation leads the team to a priest in prison. The IMF team must fight to prevent an international war at the hands of a religious terrorist in "Countdown." In "War Games," the IMF investigates military training exercises in Eastern Europe which could have serious consequences. Many IMF agents are kidnapped during an investigation in "Target Earth." Adolf Hitler's legacy continues to live on in "The Fuhrer's Children." In "Banshee," Jim and the team tackle a case of a black-market weapons trader in Ireland. The team works to recover a priceless work of art which could result in (you guessed it) an international incident in "For Art's Sake." In "Deadly Harvest," the team has to stop a plan to hold the world's wheat production hostage. The team investigates a sudden wave of dead bodies in the South Pacific in "Cargo Cult." In "The Assassin," the team investigates the assassination of several influential figures at the hands of a stress clinic, of all things. The team investigates an Old West themed resort that may be a front for illegal arms sales in "Gunslinger." In "Church Bells in America," the team must take down a Colombian drug-lord. The series ends with "The Sands of Seth," where an ancient Egyptian cult is tied to the murders of top Egyptian officials. The packaging for the set is very similar to the previous release, with a photo of the entire team on the front (Phelps with the largest photo, of course), and for some reason, very similar artwork on the back, along with a brief description of the season. Inside the case, you'll find the four discs, all of which just have the standard gray artwork with the series logo imprinted on them. There is a listing of all episodes, along with descriptions, inside the case. The menus on the set are very basic, with a different photo of each cast member (same as the ones as seen on the cover) on each disc, and a listing of all of the episodes. At the bottom of the main menu, there is a Subtitles option. They didn't include a Play All option for this set. Once you select an episode from the main menu, the episode plays right away, unless it is one of the episodes which contains an episode promo. In this case, you'll be presented with a menu that gives you options of Play Episode and Play Episodic Promo. Chapters are placed throughout each episode. The video and audio quality of the episodes isn't particularly great, but it'll be sufficient for most fans. Of course, the series was a low budget series that was taped in Australia in the first place, so that shouldn't be too surprising to fans. There really aren't any video or audio quality issues to nitpick on specifically; it is just that the episodes just don't look like great transfers, and most likely, this was the best that the studio could do given the way that the series was produced. The episodes are presented in stereo, with English subtitles for all episodes. There are a few special features on this set, but they are not huge ones. Basically, we have 30 second episode promos for a handful of episodes--only four of them, actually. They are included for "The Golden Serpent," "The Princess," "War Games," and "Banshee." It would have been nicer to have seen these for all episodes, as I'm sure that they likely could have in fact included them for all of the episodes. Disc 4 has an additional holiday promo (0:35), which is a special promo from around Christmas 1989 with the cast wishing fans a merry Christmas. It isn't particularly exciting, but it is nice to have anyway. It is great to see that this series not only made it to DVD, but managed to be completed on DVD in just a few short months. Many people probably don't even remember this version of the series, but of course, the original series is a classic that probably everybody remembers, and I think that this is one of the few rare '80s reprisals of a series which is worthy of being associated with the original series. So if you are a fan of the classic, you are sure to love this series. But even if you just enjoy series of this style in general, you are sure to enjoy this series as well. 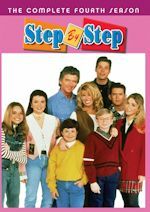 Poobla.com's Crossover and Spin Offs Master Page - Some of the most popular TV series throughout history have had spinoffs. 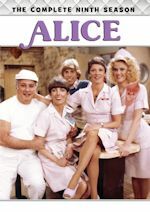 Some have even been spinoffs of other popular TV series (and let us not forget Good Times, Laverne & Shirley, and Mork & Mindy, popular series that were spinoffs of spinoffs). But these popular spinoffs (and spinoffs of spinoffs, or perhaps we could coin a new term, grandspinoffs, here) only begin to scratch the surface. There are also crossovers and other instances of characters going from one series to another. So is there a site to organize all of this? There is, in fact, and that would be Poobla.com's Crossover and Spin Off Master Page. The website lists all of the obvious crossovers, of course. I mean, we all know that The Jeffersons was a spinoff of All in the Family. But the content on the site goes much deeper than that, giving us all of the details on spinoffs such as those, as well as some of the more unknown spinoffs and crossovers. For example, do you remember when Granny from The Beverly Hillbillies visited Mister Ed? 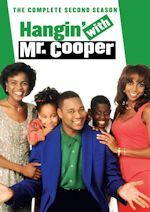 What about when Michelle Tanner from Full House visited Hangin' with Mr. Cooper? A crossover between Alice and The Dukes of Hazzard? You'll find information of it all here, along with complete (and often witty and snarky) commentary. The website is one of the "early contenders" in the online world and has been around for over a decade, but not only is it very complete, it is in fact still updated regularly, making this a Click of the Week that you'll be visiting for more than just this week.